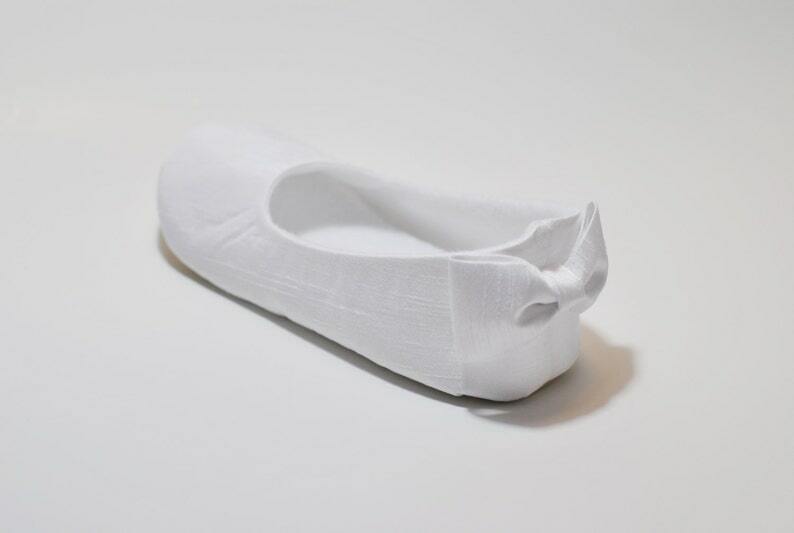 Cora .... Shantung Silk (faux Dupioni Sik) Fabric Back Bow Flats. All colors available please contact me with other colors not listed. I use a rubber, non-slip, waterproof flexible soles for Babies and Toddlers! The shoes are gorgeous. Very well made with quality material. The color was what I was hoping and expecting. My 2year old daughter wears a size 7 in regular store bought shoes and she won't be wearing these until June for a wedding, so I bought a size 8. Size 8 fits her like her size 7 shoes. I am hoping it won't be too snug when the times comes - I think it will be okay. The shoes stay on very well with the elastic strap. As soon as I tried it on her she was running around like she was barefoot!